Carl Icahn's firm has been subpoenaed over the billionaire's role as President Trump's special adviser on deregulation. Icahn Enterprises said in a recent filing that it's cooperating with the demand for information by the U.S. Attorney's office for the Southern District of New York. The firm is controlled by Icahn, who also serves as its chairman. Authorities want information relating to "Mr. Icahn's role as an advisor to the President," the November 3 filing said. Icahn, one of Trump's earliest and loudest backers on Wall Street, stepped down suddenly in August as Trump's special adviser on regulatory reform. Additionally, Icahn Enterprises (IEP) said authorities are looking into actions taken by both the firm and Icahn relating to the Renewable Fuels Standard -- an EPA regulation that has been hurting a small oil refinery Icahn owns. "The U.S. Attorney's office has not made any claims or allegations against us or Mr. Icahn," the filing said. Icahn Enterprises further said that it maintains a "strong compliance program" and does not believe this inquiry will have a "material impact" on its business. Neither Icahn Enterprises nor the White House responded to requests for comment. In his resignation letter to Trump, Icahn announced he would "cease to act as special advisor to the president." Yet he also downplayed his job, saying: "I never had a formal position with your administration nor a policymaking role." Icahn's firm was subpoenaed by the U.S. attorney's office that was previously run by Preet Bharara, who was publicly fired by Trump in March. CNN has reported that Trump personally interviewed a candidate to fill the position: Geoffrey Berman, an attorney at the law firm that currently employs Rudy Giuliani as a leading partner. (Bharara is now a CNN contributor). Icahn had been strongly criticized by Democrats, who said his advisory role created a conflict of interest because he took a formal government job while still running his business. In August, Senator Tammy Duckworth urged the FBI in a letter to investigate whether Icahn violated federal anti-corruption laws. She pointed to how Icahn personally benefited from his efforts to change the EPA rules. The controversy surrounds CVR Energy (CVI), an oil refiner in which Icahn holds an 82% stake. CVR has been hurt by the Renewable Fuel Standard, which requires oil refiners to either blend their oil with renewable fuels or buy credits. Icahn was a vocal opponent of those rules, telling CNN in December 2016 they are "natural stupidity" and could cost CVR $200 million in 2017. According to Reuters, CVR Energy generated an "extremely rare profit" on biofuels credits by betting against them in the months before Trump took office. Biofuel credit prices plunged after Icahn became a special adviser to Trump. They took another hit after Bloomberg News reported that Icahn and a trade group presented the White House with a deal to revamp the renewable fuel standard. 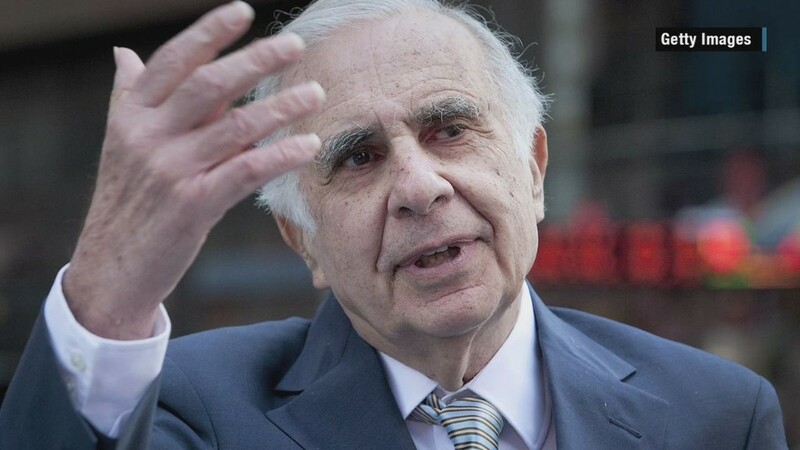 Icahn has repeatedly denied conflict-of-interest accusations. "Contrary to the insinuations of a handful of your Democratic critics," Icahn wrote in his resignation letter, "I never had access to nonpublic information or profited from my position, nor do I believe that my role presented conflicts of interest." Icahn told CNNMoney back in March that it's "absurd" that Democrats accused him of a conflict of interest. "I think that's completely ridiculous. I don't talk to Donald that often," Icahn said. Icahn voiced strong support for Trump at a time when many on Wall Street were deeply skeptical of the businessman. Icahn was such a fan of Trump that on election night, he literally left the victory party early to buy stocks that were crashing in the overnight markets.